…..well *gulp* tomorrow (which is an hour away here on EST) is my last full day in the United States until December… wow! Where has the time gone?!?! Oh wait, I know! It’s been a busy August filled with packing and unpacking and packing, as well as trips and my best friend visiting me. Oddly I want a few more days here to relax, but at the same time I just want to go so that I can stop feeling like I’m living out of a suitcase. I get my wish on Sunday when my parents and I leave the house! 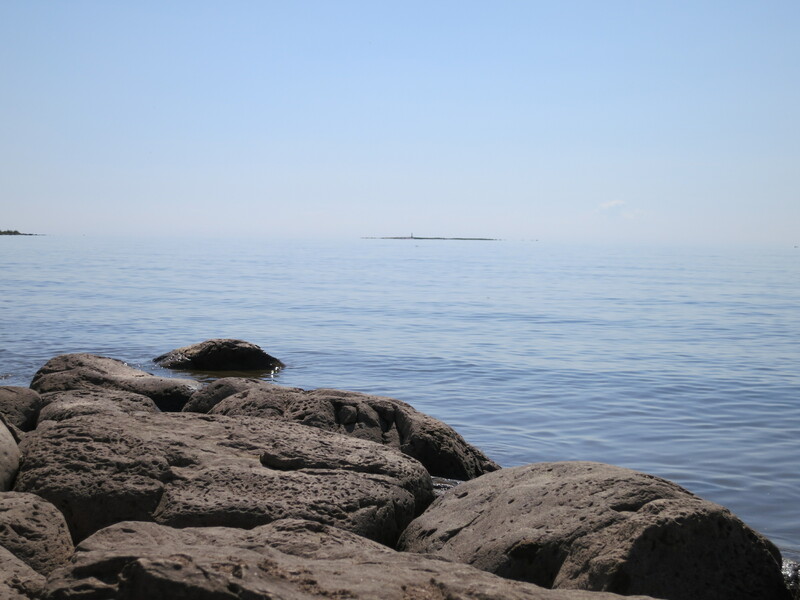 The trip to Mackinac Island and the UP(Upper Peninsula of Michigan) with my parents and a special guest appearance by my grandmother was a wonderful treat. 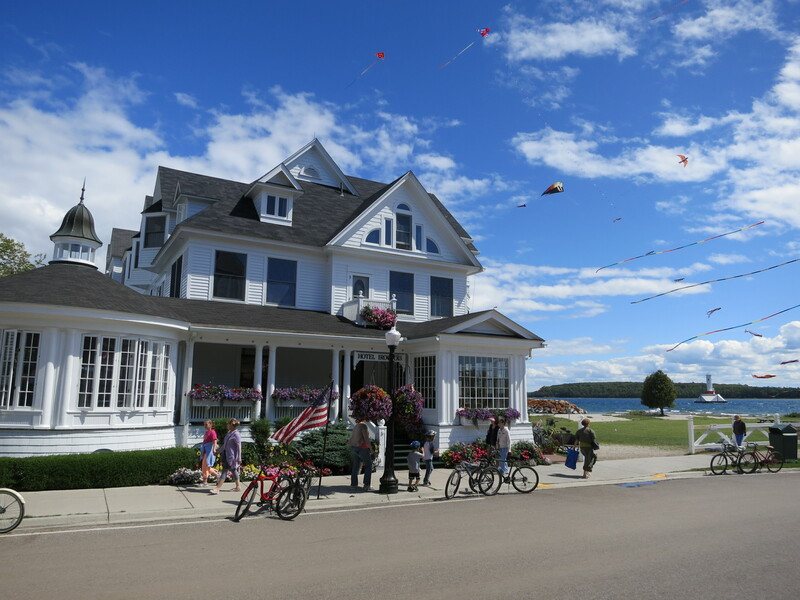 My family has vacationed on Mackinac Island since before I was born and there is hardly a summer I can remember without going there for a weekend. It is a truly magical place with transportation by horse and buggy, bicycle, or by foot. It is so calm, the air is clear, and it is generally cool. Wonderful! 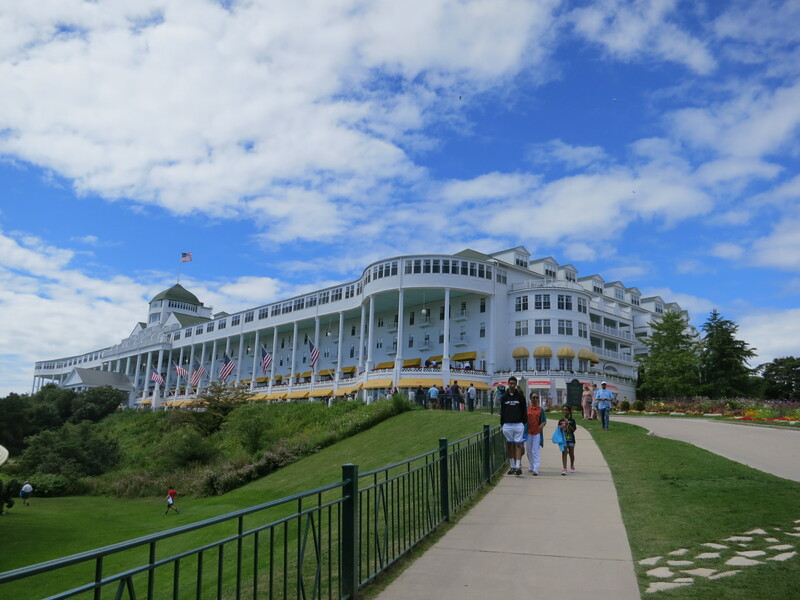 This trip we stayed at The Grand Hotel for the first time. So swanky! It is truly a magical place and I’ll admit it has a big soft spot within my heart now. The bulk of my time back has been spent sorting an even smaller amount of my belongings to figure out what I am taking to the UK. Needless to say, it’s not much. I have my two 50 lb suitcases and I’m stealing a small amount of poundage from my parents. It’s not all clothes I promise! I know I have a very small closet there, so I’m packing pretty much only fall and winter clothes. What is killing me is the books I am taking over for my classes. They are killer! I’ll be swapping some books out at the end of this semester when I come home for the holidays, but they are killing my packing groove. 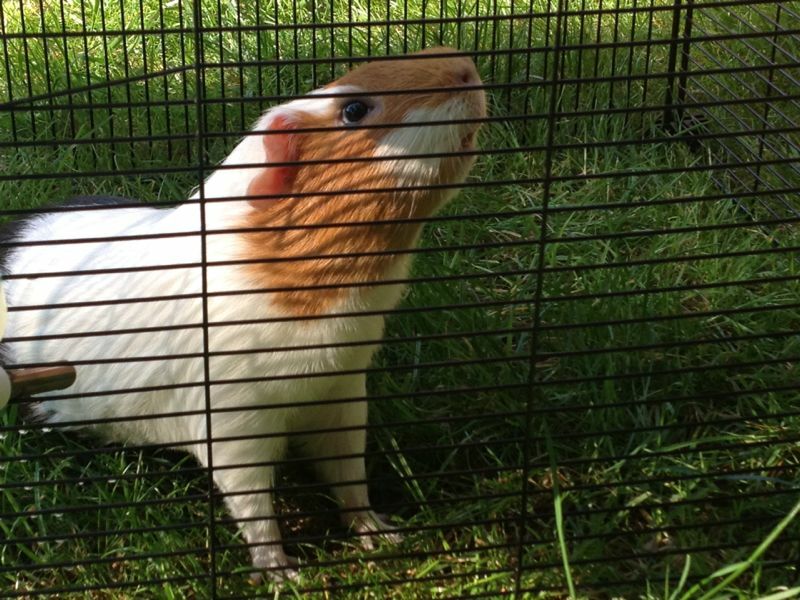 Rather than terrify everyone with an image of my belongings strewn all over during the initial collection and sort, I have opted to share a cute photo of Alfalfa, Alisa (my best friend) and my’s guinea pig, touching grass for the first time when Alisa and he came to visit! Bright and early tomorrow morning my parents and I will head up to Mackinac Island and the Upper Peninsula(UP) of Michigan for a couple days of rest and relaxation. Ever since I can remember we have gone to Mackinac Island nearly every summer. It truly is a magical place since it is very small and there are no cars on the island. There are horse drawn carriage taxis or bicycles you can rent. It is so peaceful and relaxing. While we are up there my Grandmother, on my fathers side, GeBe, is up visiting from her home in North Carolina. It will be great to see her one least time before I head across the pond, particularly in her home turf. She’s originally from the UP. I can’t wait to relax and spend some much needed down time with my family! We’ll be back late on Saturday or mid-day on Sunday. Once we are back the final push begins to prep for the move across the pond. 20 days from now I will be on a plane flying from Detroit to Amsterdam (our flight is a bit round about…)… Craziness!! !